Sometimes I like to write blog posts about how to do things that I myself am not necessarily very good at. Today is one of those days. What’s Your Local Library Like? I recently visited my local library for the first time in many years. I wrote some short prose about it here (also includes poached eggs and being approached by a creepy guy). The library felt the same in some ways, but very different in others. It struck me how sparse it seemed – it wasn’t the wonderland of high shelves and tall tales that I remembered. It seemed to house fewer books than I remembered. Huge shelves stacked high with books just look so enticing to me. I don’t want to be climbing up ladders, but who among us wouldn’t want a library to rival that of Belle’s in Beauty and the Beast? 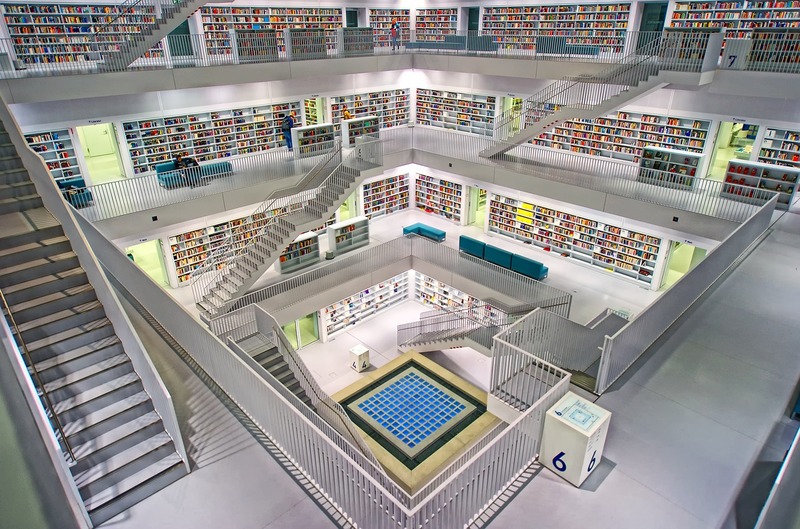 (Or like Stuttgart City Library, pictured below.) Maybe the shelves seemed lower because I’m bigger now, or maybe because fewer people use the library these days, it has become a little unloved. Do You Get Writing Ideas From Your Dreams? 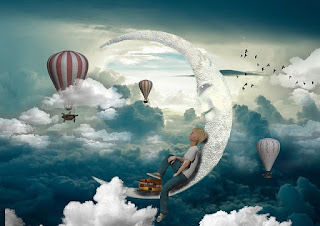 Last night I had a dream that I went to a writing group for the first time. The leader of the group asked us to spend 25 minutes writing about a real person, so I began writing a poem about a friend who I haven’t seen for a while. But I was having trouble writing it, because the letters I wrote kept changing once they were on the page. I also lost ten minutes because I had to go home and find a notebook, as I had arrived unprepared. 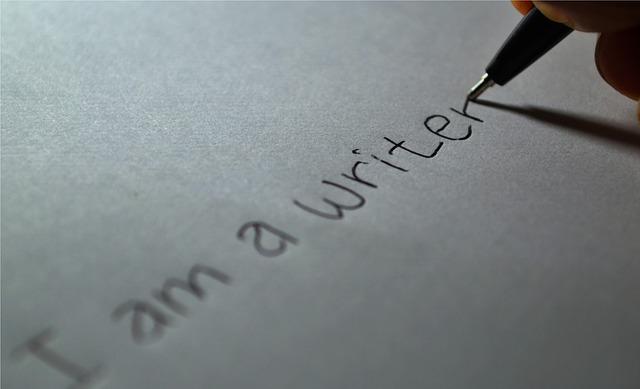 This blog has been written to give you one piece of advice today: call yourself a writer. It took me a while to learn this myself, perhaps because there are some misconceptions about what a ‘real writer’ is. 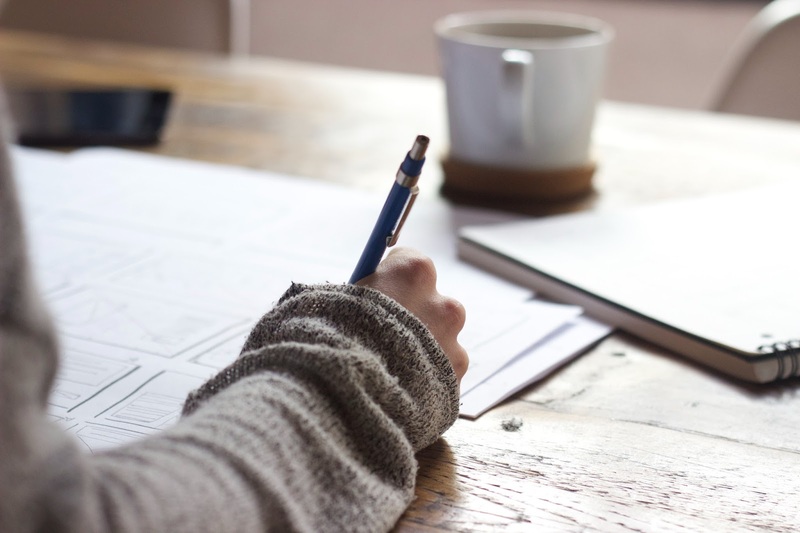 Tell someone you are a writer and they might say “have you been published?” or “might I have read anything you’ve written?” And if the answer to these two questions is no, we might feel kind of like frauds by calling ourselves writers.